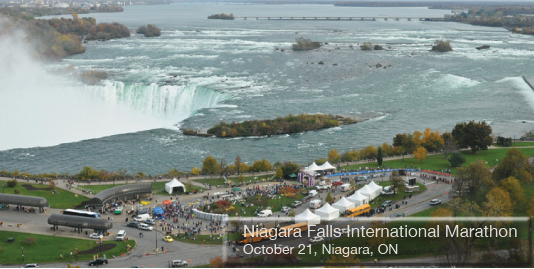 From spring through fall, Canadian runners and walkers can compete in weekend races across the country. While a marathon is usually the centrepiece, a variety of other races round out the adventure: a 5K, 10K and half marathon are standard but other distances crop up too. Kids’ races make it a family affair and may get the kids hooked on running as a lifelong passion. There is usually a pre-race breakfast or pasta dinner and a bunch of volunteers who make it all possible. The spirit is the same, whether it’s the Trapline Marathon in Labrador or the huge Goodlife Fitness Marathon in Toronto. Shameless plug: The OptiMYz Live Health Expo debuts in Toronto, with lots of education and entertainment for the health and fit- ness crowd, not just runners. One more thing: We also highlight a few international races. Sometimes experienced racers just wanna hit the road.